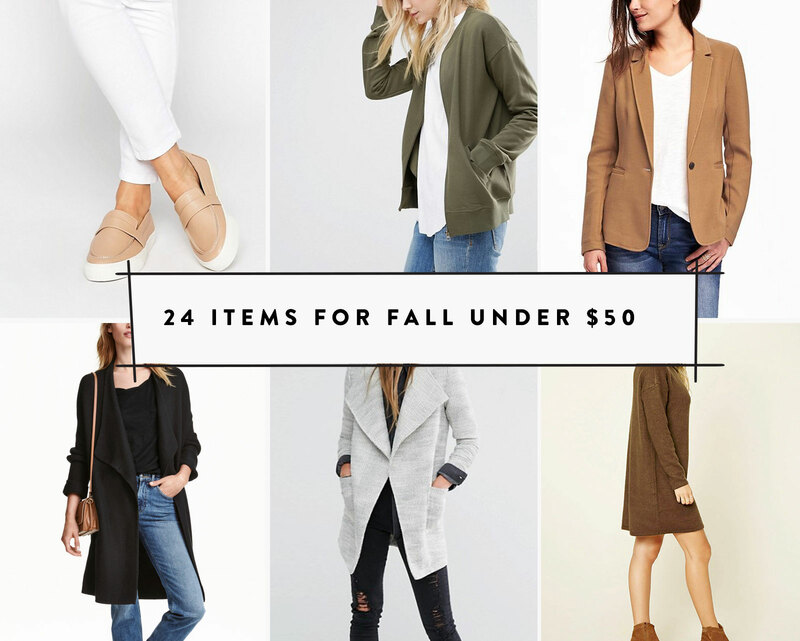 Since this year my body is still slightly in transition, I am hunting for reasoably priced items that will help me progress into fall. I figured I might not be the only one looking for some affordable items so I thought I would share some top picks I found that are all under $50. Some of them might surprise you and I few of them I already pulled the trigger on. Get the full list below. What items are you adding to your wardrobe this fall? This is a great round-up, Megan! I love those joggers from Urban Outfitters, and I’m sure I will be adding a few new oversized sweaters to my wardrobe this fall. This list is so good! I’d already been contemplating that Old Navy blazer (very impressive stuff from them right now! ), and now I’m going to have to add that striped long sleeve shirt from H&M to the list. Thanks for a great round-up!